Executive Insight Dashboard isn’t loading data at all. This was happening with us when we were accessing production analytics data. There was no any message in Logs. It was very confusing for us because you have no clue what is happening without logs. We tried to execute the Analytics SQL Query on Database and it was providing results. I read that – when we click for any report in Dashboard it fire the Ajax Request which we can see in network for any browser. And We were getting the above error message and there was no Ajax request being made for few Reports. And when we try to reload the data for the reports for which we were getting the message “No data available for the selected time range” — it does fire Ajax request but it keeps on showing the “loading…” Screen. In response to Ajax we were getting the below message in response in but there were no reports being displayed. This gave us a hint that something is wrong with the configuration. We compared \sitecore\shell\Applications\Reports\Dashboard Files with both the environment — There was no change in it. 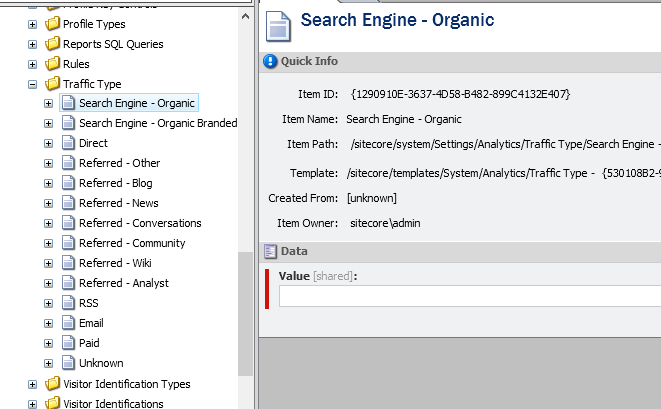 Then we compared the Sitecore Content Tree for Reports and we got the change in Traffic Type. 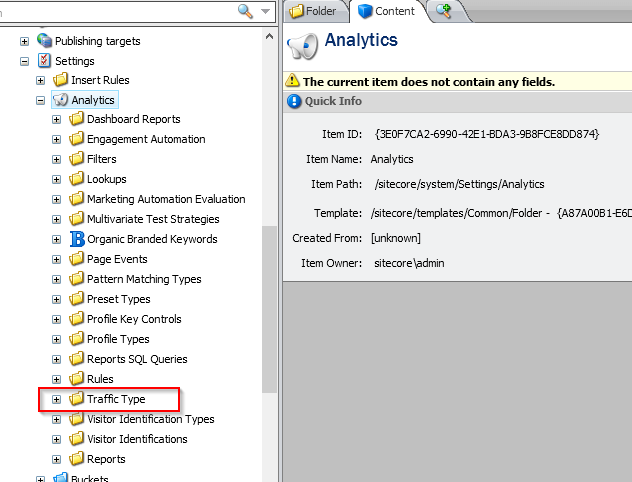 There was no values assigned to Traffic Types — Somebody changed in on production. After assigning the values we got all our reports working. Finally after investing more than 12 hours, we were able to get this solution. If you are also getting the same, hope this will help you to get things faster.